கூச்சலுக்கும் மனநலக் கோளாறுக்கான சாத்தியமான அடையாளம் ஆகியவற்றிற்கு இடையிலான வித்தியாசத்தை பெற்றோர் எவ்வாறு அறிந்துகொள்வார்கள்? மேலும் அறிய படிக்கவும். It's normal for children to cry. However, there may be some places as a sign of mental health. Tantrum is the emotional upheaval that arises from the cries of weeping, stubbornness, embarrassment and anger.embarrassment and anger. 1. Against a family member: Being beaten , kicking and biting.When your baby gets angry , do you ever have to take care of yourself? Then definitely need medical advice. 2.Child harm / self injury self injury : Some children will bite themselves, kick or bend themselves. 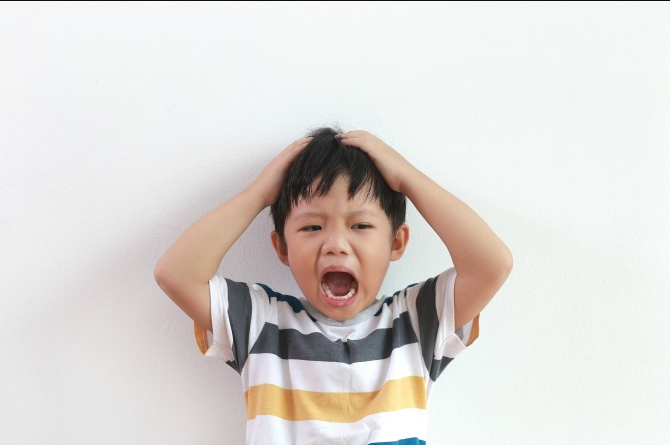 This may be a sign of child mental stress. 3.Religious hysteria : If mental incidents occur more than 10 to 20 times a day or more than 5 times a day, the child may have mental health. 4.Multiple durations: A 25-minute hysteria can not be taken normally. Such children may have a mental illness. 5. It is impossible to calm behind the awakening: If a child needs peace, then surely the child is a problem. What can this be done? If your child reveals one of these symptoms, do not worry.Please take a child mental expert.And he will advise you how to take care of a child like this.They will advise you to cope and help them. If the child has a mental illness, do not worry about it. They need to take extra effort to help them. Anxiety and stress are also a common problem for children. With the help of proper treatment and medication, the child can live a good life.